Aadvanced Machinery is your source for new, replacement parts for Baldwin Defiance Model 20 Compacting Presses and Defiance Model 20 Compacting Presses. 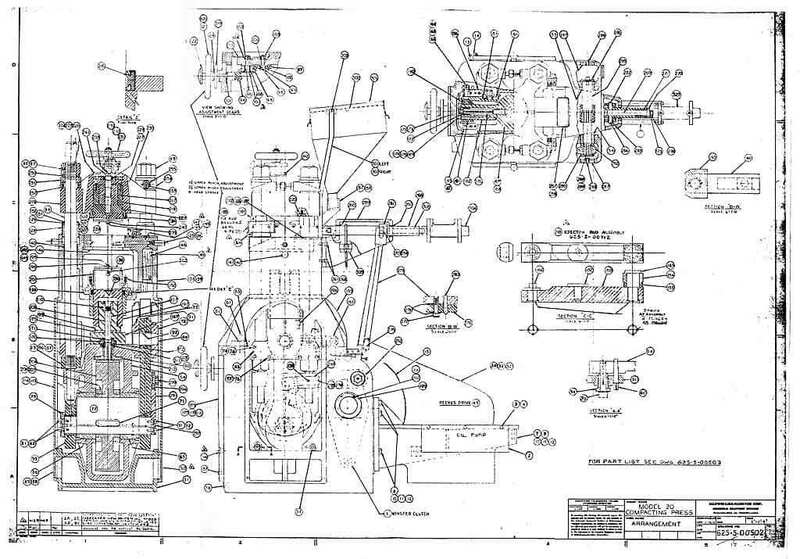 You can view a diagram of Baldwin Defiance Press parts that we offer, or you can download it as a PDF. Fast turn-around allows us to custom manufacture larger parts such as pinion shafts, flywheels, cranks, ejection base plates, tie rods, etc. If not in stock, these types of parts can usually ship within 6 weeks of your order. Contact us today to receive a catalog of our full line of parts to keep your Baldwin Defiance Press in top running condition.